Hawaii, the home of lush tropical life typically found in lower-lying elevations, is also home to some of the world’s tallest mountains. Take, for example, Mauna Kea on the Big Island of Hawaii, which at 33,500 feet (10,210 meters) tops Mount Everest by a cool 4,500 feet. Haleakalā, meaning House of the Sun, is one of Hawaii’s most famous volcanic mountains, located on the eastern half of Maui. Originally the name was exclusively for the ethereal crater atop the peak. Gradually, the name Haleakalā became known as the name for the entire mountain, and, eventually the title of a 30,183-acre national park surrounding the crater. The summit of Haleakalā stands at 10,023 feet (3,055 meters) above sea level. That metric doesn’t count the 19,680 feet (5,998 meters) of mountain below sea level. That’s right – Haleakalā is taller than Mount Kilimanjaro (19,341 ft / 5,895 m), Mount McKinley (20,320 ft / 6,194 m), and K2 (28,251 / 8,611 ft). It’s even taller than Mount Everest (29,029 ft / 8,848 m). Combined, Haleakalā tops off at 29,704 ft (9,054 m) from its base on the ocean floor to its sky-high summit. Haleakalā is located on the Hawaiian island of Maui. Geologists have observed that Maui was actually formed out of two volcanoes born on the ocean floor. With each eruption, the volcanoes spewed a new layer of lava that built on top of the previous layer, their summits eventually rising high enough out of the water to become dry land. Over time, the volcano peaks connected together above sea level through more layers of lava, as well as wind-blown ash and sediment. 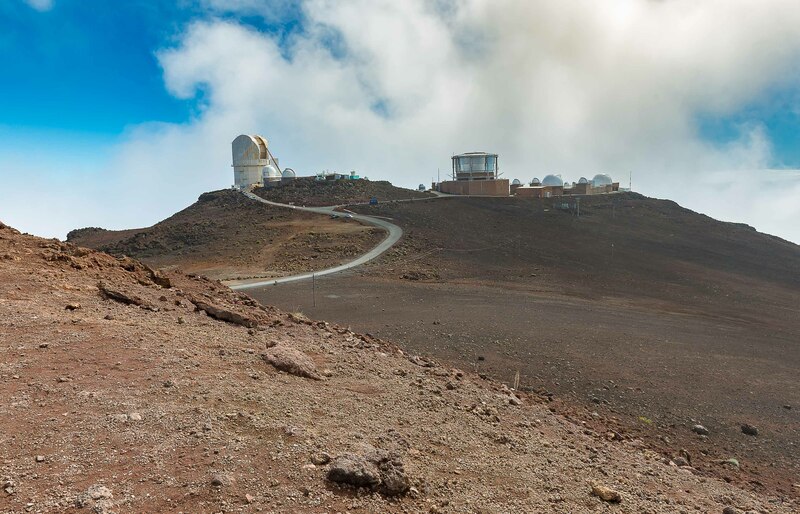 Some scientists have theorized that Haleakalā was actually taller in the past than it is today, potentially reaching a peak of 12,000 feet above sea level – about 2,000 feet taller than its current height. As geology would have it, rains resulting from climate change formed rivers of water that flowed down the mountainside, eroding the landscape to its current peak and forming the vast crater that is the marvel of many who visit it. Even legends have some scientific truth. One story holds that Pele, the goddess of fire, moved around from place to place on various islands in the region that is now modern-day Hawaii. In her recounting of her travels, she stamps her foot, forming a new island in that place. Scientifically speaking, hot spots under the earth’s surface have been known to form volcanic land masses like Hawaii – and the hot spot under Hawaii is among the largest. 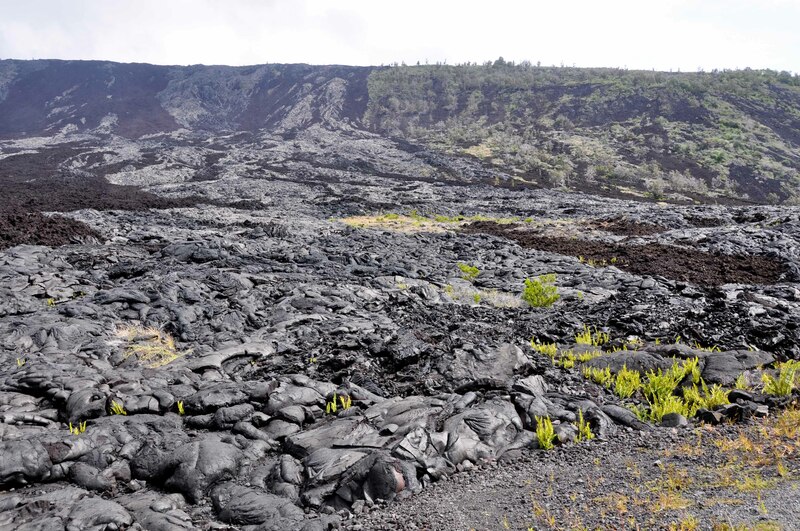 Ancient Hawaiians, noticing the weathering volcanoes, embraced the idea of Pele fighting to dominate the seas, leading to the creation of the volcanic Hawaiian islands above the oceans. 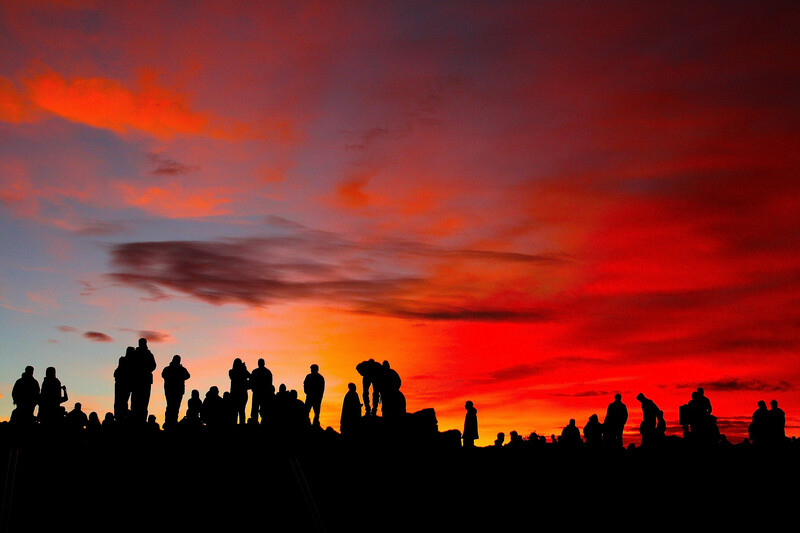 Due to the height of Haleakalā’s peak, in addition to its remote location free of light and atmospheric pollution, the top of Haleakalā Mountain is a valuable point to observe the skies. The U.S. Government and many well-known academic entities from both the U.S. and around the world have combined their astrological research efforts to form a facility at the mountain’s peak, called “Science City.” The facility boasts a number of important ground-based telescopes that aid in our understanding of the universe, as well as the security of the country. Considered one of the most important sites for observation in the world, the ground telescopes located there have yielded much information that contributes significantly to our understanding of space. In 2016, the Pan-STARRS telescope created the biggest digital map of the cosmos ever made, comprising 3 billion stars, galaxies, and more. As Hawaii is also a geographically strategic location for America’s military forces, the Department of Defense has built some telescopes specifically for the researching of man-made objects in space, such as satellites, rockets, etc. Other telescopes monitor asteroids and other celestial bodies that could threaten the Earth in the right conditions. Haleakalā mountain is uniquely situated to accommodate these vital research efforts because of the still, dry air (unusual in the island state); limited light location; and its perfect height in the troposphere, tall enough to stand above the tropical inversion layer and short enough to allow for oxygen retention at high altitude. Whether viewing the famous sunrises or studying the stars far beyond our solar system, Haleakalā’s summit is a source of wonder, beauty, and awe. Programs and structures built to showcase the natural wonders of this place are created with the hopes that the volcano will lie dormant for a long time into the future. While Haleakalā is projected to remain as is for the next several hundred years, it is possible that the volcano will erupt again – a huge setback for the many who benefit from the activities atop the mountain. However, as long as geologic activities remain quiet, Haleakalā will continue to return important clues to our comprehension of our world. About the Author: Skyline Hawai’i guided tours let you experience the wonder of Haleakalā National Park in comfort, with the help of expert guides, spacious new tour vehicles, and of course the most beautiful sunrise you’ll ever see. For more information or to make your reservation today, visit: www.skylinehawaii.com.